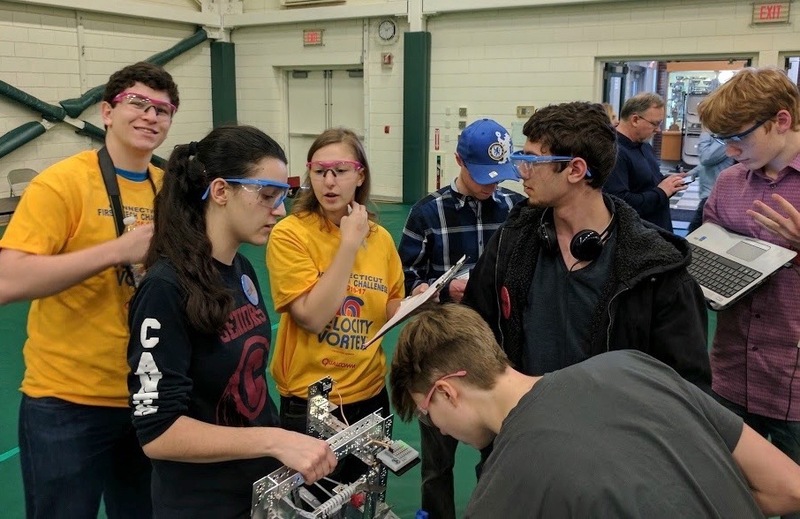 Today, eight of our team members volunteered at the Gator-Bowl event in Greenwich, alongside our friends Team 5017, RoboEpic. 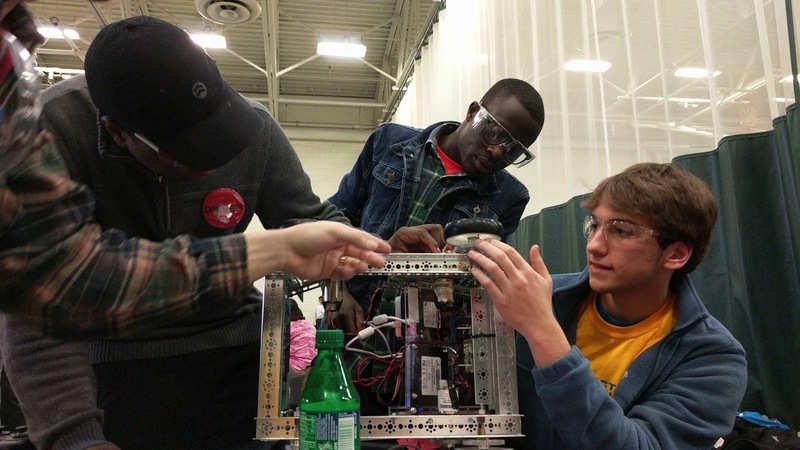 We helped out as queuers, robot inspectors, FTAs, and a few of our parents helped as judges! Megan and Nathanael during the opening ceremonies! At the start of the day, Megan helped register the 18 teams who attended the event. 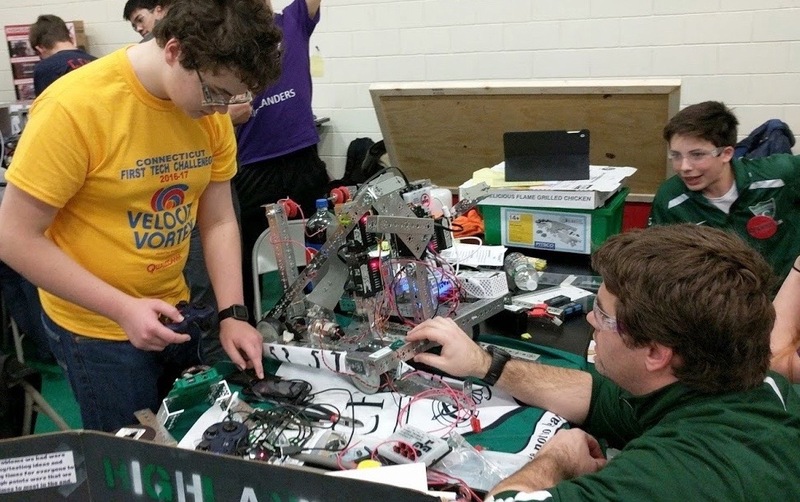 Luke worked as field inspector, and Neal in robot inspection to help the teams ready for competition. After opening ceremonies, Phoebe and Greg helped with queuing, which kept the event on schedule. Greg also worked as a photographer. Greg and Phoebe helping out with queuing and photography! Theo worked as a Control System Adviser (CSA), assisting multiple teams with programming. Luke and Nathanael acted as FTAs throughout the day. We all had a great time, and we hope we helped the event run smoothly! Theo working as a CSA! We were delighted to see the Bassick Tech Lions at the event with two members, and their new mentor, Ms Beecher! Thank you, Dr Ramirez for joining us, and seeing what FIRST and FTC is all about! Ben collaborating with the Bassick Tech Lions at the event! The event ended ahead of schedule, the team helped pack up, and we made it home by 5. Our coach was so tired and satisfied, he fell asleep once he got home! 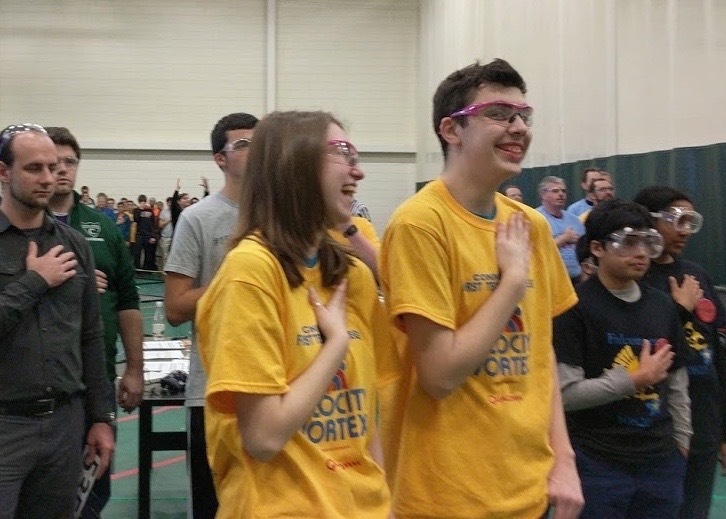 We would like to give a special thanks to RoboEpic for hosting the event, and Ms Loughney for helping to organize!